Non-residents may judge Crown Hill just by the commercial sections on Holman Road. Lined with a mix of chain restaurants, retail, and mom-and-pop establishments. There will always be some level of traffic here. As several surrounding neighborhoods are exclusively residential and do their shopping in Crown Hill. People who just pass through may miss out on the quaint, placid vibe in the surrounding streets. The slightly tucked away feel of these homes makes it quite attractive to young families. 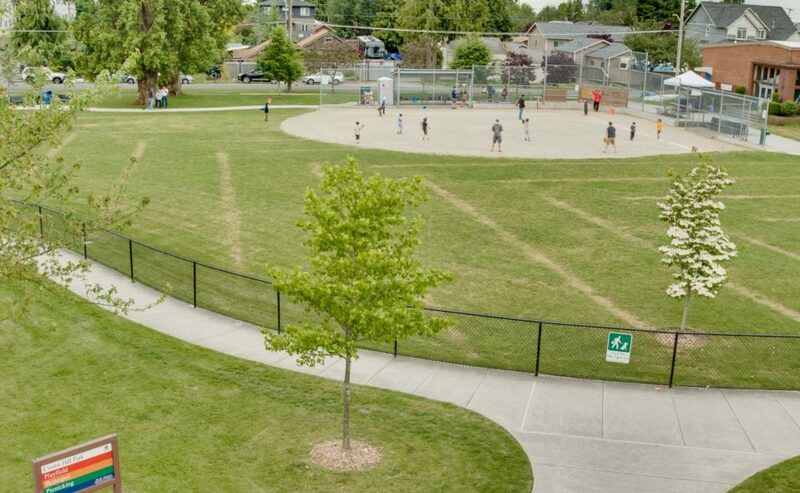 Proximity to schools and large parks, including Carkeek Park and Woodland Park, certainly add to its appeal. House sizes and yards are often modest, which has also made it a popular place for young couples just starting out, who haven't yet had kids (or who are probably just going to have pets instead). With no one to leave with the babysitter, young professionals in Crown Hill can appreciate its proximity to dining and nightlife in Ballard and Fremont, too. Crown Hill Pet Supply: A perfect oasis for animal lovers, focusing on organic and holistic pet foods and supplies. Holy Grounds Coffee: A subdued, friendly, contemporary cafe serving coffee, specialty beverages and sandwiches. Soundview Playfield: A 10-acre park with sports fields, playground, trails and plenty of open space for picnics. Cafe Munir: Modern Lebanese cuisine, with small plate options and an international whisky selection. Thirsty Fish: A relaxed bar with rotating beer selections, cocktails, pool and a surprisingly varied food menu.